Accent your home and your life! 1. An embroidered "home" pillow to remind you there's no place you'd rather be. 14" L x 20" W. Made of polyester. 2. 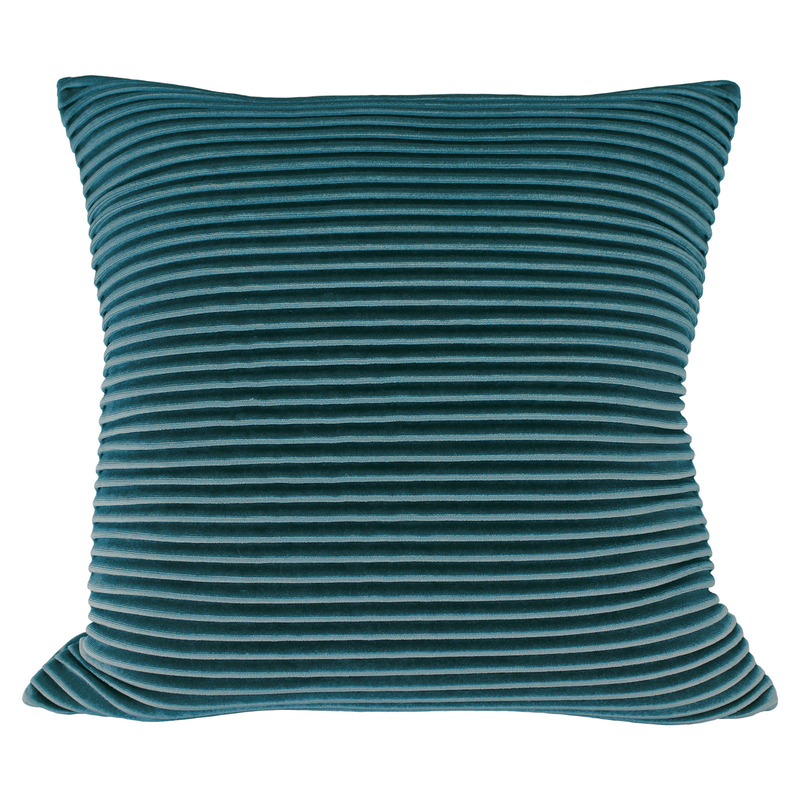 A pleated velvet pillow for a luxurious, timeless, and stylish design you'll want to put everywhere in your house. It's two sided with one smooth side for a casual look. 18" L x 18" W. Made of velvet, polyester, and spandex. 3. A cream, Aztec-inspired pillow that'll add artisanal charm with a tufted accent, space-dyed wool, and knife edge seams. 17" L x 17" W. Made of wool and cotton. 4. A "Love You More" pillow made of a polyester cotton blend to tell your special someone how you really feel. 5. A black and white Eiffel Tower pillow with a plush and memorable design for the traveler in your life. 18" L x 18" W. Made of polyester. 6. 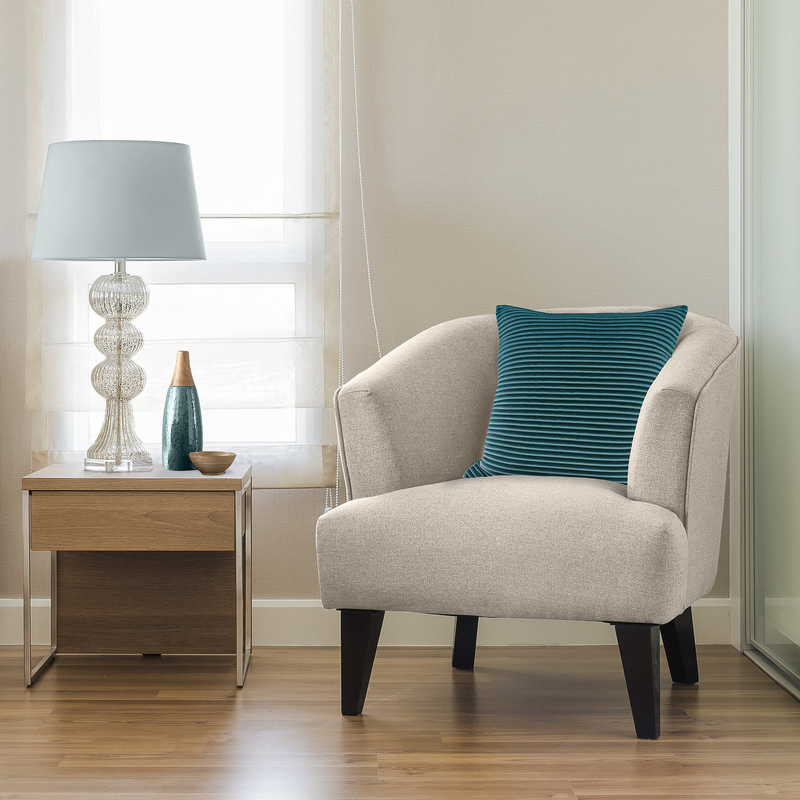 A three-button pillow for a stylish but snuggly design you'll want to display on your favorite chair or couch. 20" L x 20" W. This pillow is feather-filled for premium comfort and softness! 7. A "Beyond Blessed" pillow with a 100% polyester fill and a faux linen weave for those who love spiritual affirmations and home decor. 8. A sweater knit pillow for a cozy but simple vibe, with the textured scallop shapes and and beautiful ivory canvas. 9. A vibrant coconut-button pillow for just the right pop of color you need in your living room. 20" L x 20" W. Made of 100% polyester fill and woven polyester fabric. 10. A bird song pillow that'll get you in touch with nature without having to leave your house. 11. A textured chenille swirls pillow for a lively and dynamic design that'll complement any decor. 18" L x 18" W. Made of earth-friendly polyester fiberfill from recycled plastic. 12. A gray boucle fabric pillow to add a soft, comfy texture to any room. 18" L x 18" W. Made of acrylic and polyester. 13. A polyester woven stripe pillow that'll liven up your space with a geometric design and earth-toned colors. 14. A personalized pillow for a great sentimental gift or to show family support and solidarity. 15" L x 15" W. It says on the front, "Family, where life begins and love never ends". It's made of cotton and can be personalized with your last name (up to 16 characters). 15. A unique Kokopelli pillow that'll add a vivid southwestern, artistic element to your home. 16. A happy pillow to give positive vibes no matter where you put it. 20" L x 20" W. Made of recycled polyester fill. 17. A solid microfiber twill pillow with a knife edge for a classic look that'll add style to any place. 17" L x 17" W. Made of polyester and recycled fiber fill. 18. A floral medallion pillow with a tri-tone blossom design to brighten any area. 19. A brown geometric print pillow that'll add elegance and sophistication with shades of coffee, cream, and chocolate. 18" L x 18" W. Made of polyester, rayon, and cotton. 20. A desert-inspired diamond pillow for a soft-to-the-touch feel with an eye-catching design. 18" L x 18" W. Made of polyester, wool, and rayon. 21. A large and fluffy basketweave pillow that'll not only look great in your living room but also on your bed. 20" L x 20" W. Made of polyester. 22. A metallic stitched pillow with a plush rose feel for lavish, glam, and mod decor. 20" L x 20" W. Made of polyester and is feather filled.